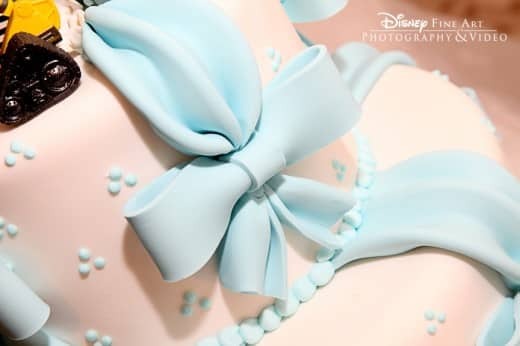 The Grand Floridian Bakery created a simple yet elegant cake using this charming Wall-E cake topper. 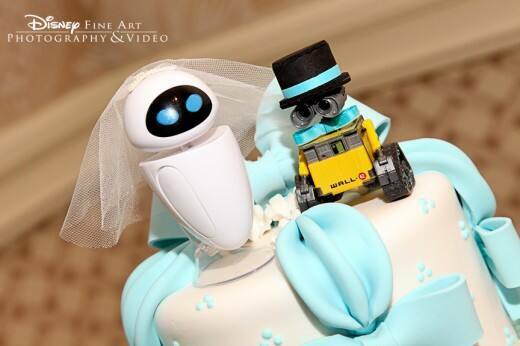 The couple went to see Wall-E on their first date, and wanted to incorporate the film into their big day! Bringing your own cake topper, that has a special meaning to you, is a great way to tell a story through your dessert! Be ready with an open imagination, because the sky is the limit! OK, That is the most awesome cake topper I have ever seen! !